Winx Club - Do You Believe in Magic? Imagine waking up one morning in your ordinary bed, in your ordinary house, and greeting your normal parents before heading out on a normal day and then bumping into a fairy who will forever change your life. You discover you are no longer that ordinary girl from the city of Gardenia who leads a perfectly normal life but rather Princess Bloom, one of the strongest fairies in the magical world and the last survivor of planet Domino. Soon you find yourself packing your bags and moving away to Alfea College, the finest fairy school in all the realms, where you will make new friends and form the Winx Club. Winx Club is Nickelodeon's first girl-targeted animated t.v. show, a modern fantasy adventure series starring fairies who rely on their strength, smarts, teamwork, and magical powers to fight villains and protect the world from evil. The six fashion savvy fairies, Bloom, Stella, Flora, Musa, Tecna and Aisha, each have their own unique power that helps define their own individuality and defeat villains as well. The Winx characters were created to represent today’s modern girl, heroines that girls can relate to. With the aim of providing positive messaging, the show empowers girls to embrace self-expression, friendship, adventure, magic and fashion. My children sat down to watch the screener of Winx Club and were instantly mesmerized. They loved it so much, they insisted on watching it again and again in the subsequent days. I'm sure they will be thrilled once season five of Winx Club launches throughout Canada on YTV and Nickelodeon Canada. My only hope is that the show will introduce new characters who have different body proportions than the ones depicted in the show. For review, we were sent the entire collection of Winx Club 11.5” Deluxe Believix Dolls, perfect for recreating magical adventures and role-play scenarios. These dolls feature the six friends with eleven points of articulation, outfits and beautiful hinged wings that are easily removable. I found it remarkable how the points of articulation made the dolls seem so life-like. Each doll also comes with a magical membership card that unlocks exclusive content on Nick.com. My daughter ended up picking Bloom and my son, believe it or not, insisted on having Tecna. My daughter has already given one of the remaining dolls to her friend as a birthday gift and we have two more birthday girls who will get one of their own as well this summer. Currently, there are a few dolls available for purchase online at toysrus.ca. The entire collection of Winx Dolls won't be available until Fall 2012. 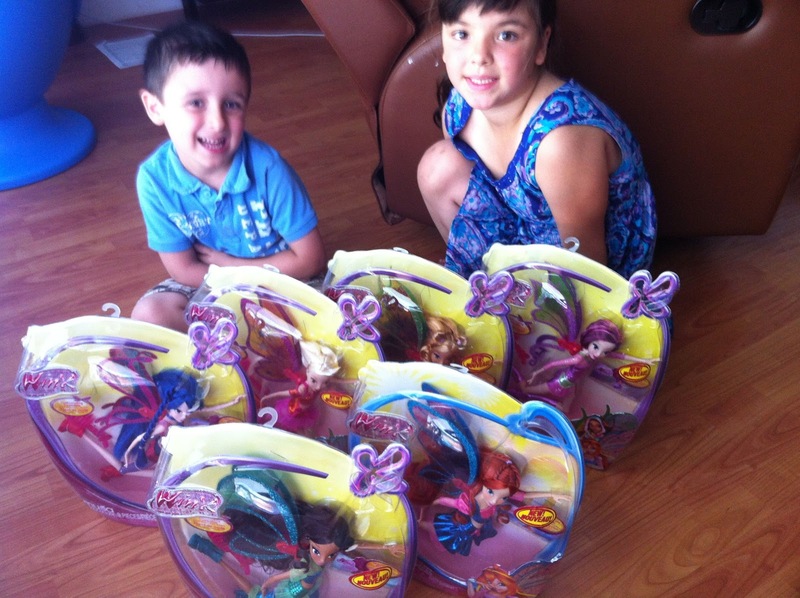 In the meantime, you can explore the world of Winx at toysrus.ca. 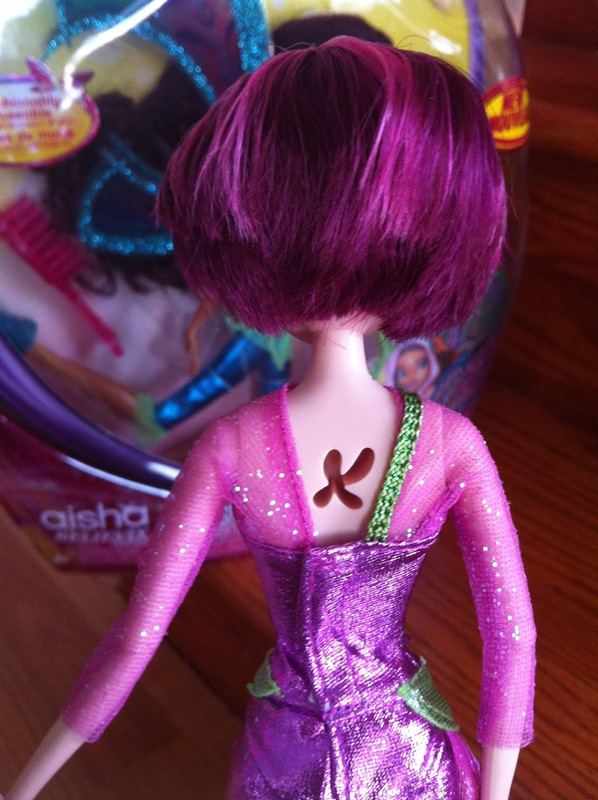 But you don't have to wait until this fall to have your very own Winx doll. Nickelodeon Canada has offered a full set of dolls to give away to one of my Canadian readers. Simply enter using the Rafflecopter form below. Disclosure: As a participant in the Nickelodeon Canada Affiliated Blogger Program, I was sent product to facilitate this review. All opinions expressed are my own. The music bar playset would be a must have item! I love her purple hair, too! Winx Club - 3.75 Action Doll- Believix Collection - Bloom would be so much fun! My granddaughter likes 'little' dolls. my daughter would love bloom..her sassy red hair is like her own!!! My girl would love the concert stage! The Winx Club - Concert Stage Playset with 11.5 inch Bloom Doll looks great! another for the Concert Stage Playset! The Winx Club - Frutti Music Bar Playset with 3.75 Bloom Doll looks like a fun set with everything you need all in one purchase. My niece would love the Winx Club - 11.5 inch Vanity Doll Playset. 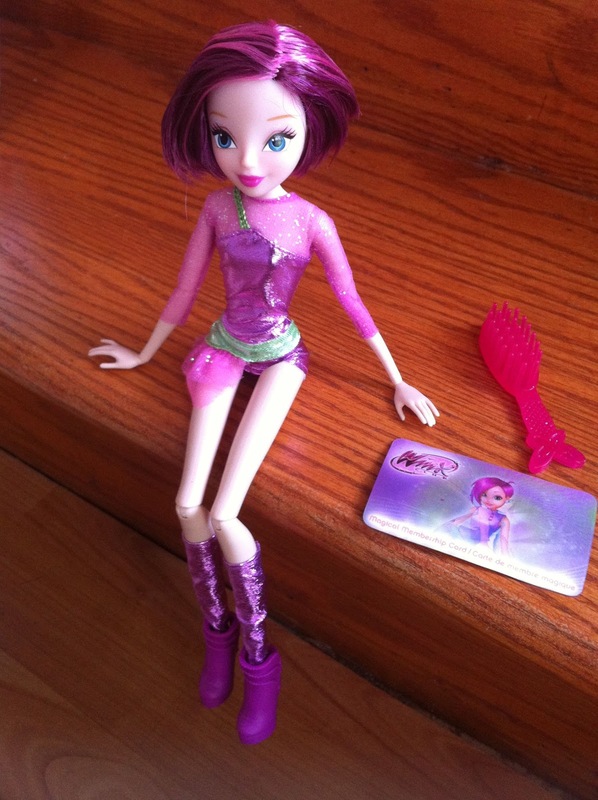 My daughters would like to have the Winx Club - Frutti Music Bar Playset with 3.75 Bloom Doll. I think Musa would be my dsughter's fsvourite. 11.5 inch Vanity Doll Playset would be the GREATEST! The Winx Club Concert Stage Playset with 11.5 inch Bloom Doll , my neice would love this! My daughter would love Tecna -- purple is her favorite colour right now. My daughter would like the Winx Club - Frutti Music Bar Playset with 3.75 Bloom Doll. Even I'd like to play with it! The Concert Collection Stella doll for sure. The concert stage playset. My niece wants to be a singer! The Flora doll is so pretty, I'd choose her. My niece would love the Winx Bloom doll. Winx club is a fave around here, a must see event, lol. Bloom is my personal fave! My daughter's must-have item would be Winx Club - Frutti Music Bar Playset with 3.75 Bloom Doll. My children spend the entire day playing as winx fairies..:>) They have the nintendo ds game and they both love it and would love a complete collection of dolls too. The Bloom 11.5 inch Winx Club Believix Deluxe Fashion Doll would be the must have around here. My daughter would love the Concert Stage Playset, she loves to sing!! The Winx Club - Believix Sparkling Wings - Bloom look so fun! 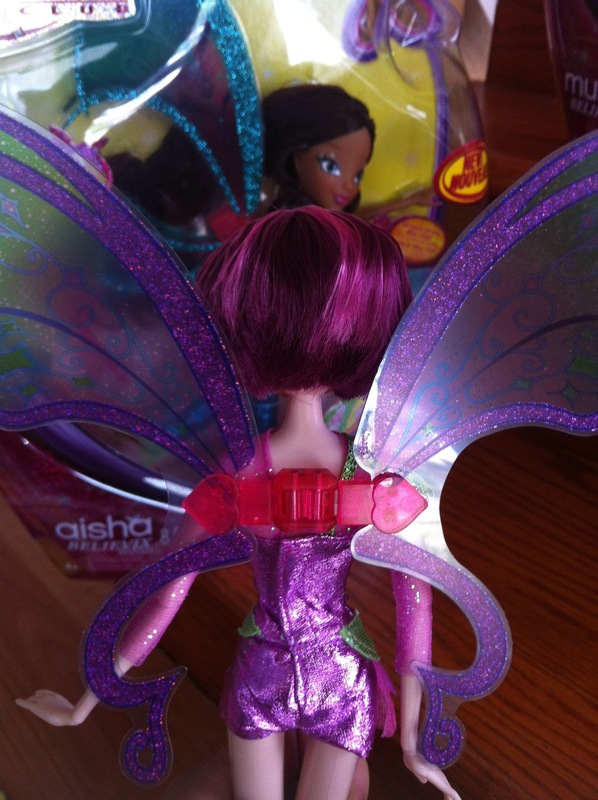 My daughter would like to have the Winx Club, Believix Sparkling Wings - Blooom. 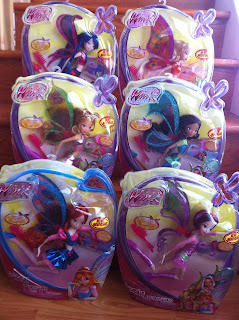 My daughter would like to have the Winx Club Believix Sparkling Wings - Bloom. The Bloom Believix doll would be absolutely a must-have!